Well, I was beyond excited! 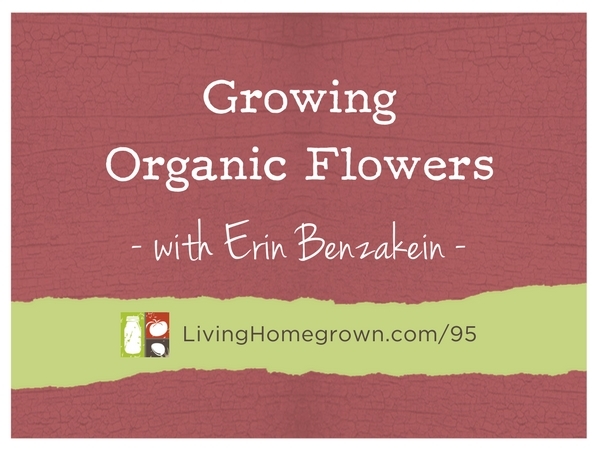 Because Erin knows how to grow a TON of flowers in a relatively small space AND how to transform those flowers into beautiful bouquets that will feed your soul. Who better to teach home gardeners how to pack a lot of punch into a small space than a woman who harvests and sells literally thousands of bouquets from less than 2 acres of soil? And she does it in a completely organic and sustainable way! Not only is Erin on the cutting edge of the local flower movement in terms of sustainability, but she is also an incredibly gifted floral designer who is willing to share her secrets on growing and creating lush, long-lasting, completely organic floral bouquets that will make your heart skip a beat. I think you will really enjoy this interview. 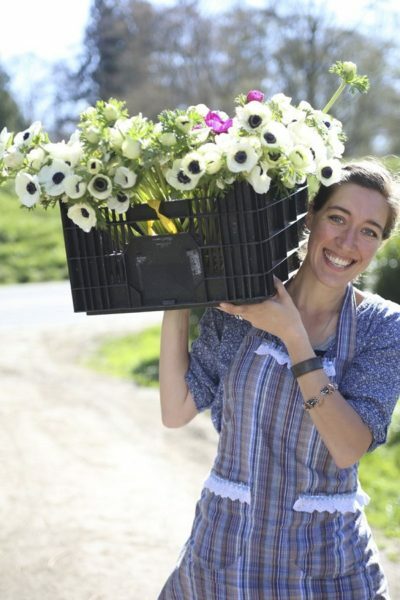 Erin Benzakein is the founder of the flower farm Floret. She is considered one of the nation’s leading “farmer-florists”, which is a term she helped popularize to describe those skilled at both flower farming and floristry. 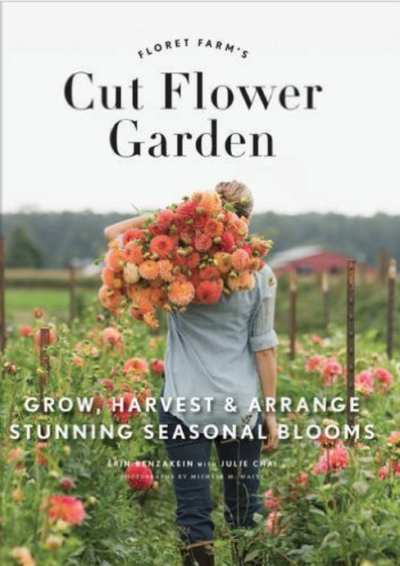 She recently wrote the long-awaited book, Floret Farm’s Cut Flower Garden: Grow, Harvest and Arrange Stunning Seasonal Blooms. Erin has published extensively on her blog and in Growing for Market (a trade publication), and has mentored countless other aspiring farmer florists across the country. Her floral designs and flower farm have been published in magazines including Living, Sunset, Country Living, Victoria, Seattle Bride and Mary Jane’s Farm, as well as dozens of trend-setting wedding websites, blogs, and photo shoots. Aside from being a skilled farmer and top-notch florist, Erin is also an accomplished photographer, floral designer teacher and entrepreneur. Known for her lush, airy, romantic floral designs, Erin was awarded the 2014 Martha Stewart American Made Award for Floral Design. Erin is drawn to old-fashioned flowers and is consistently pushing the limits of what can be used in a bouquet. Her latest obsession is incorporating various herbs, edibles and vines in her designs. With Floret’s strong natural brand, far-reaching web presence, national press exposure and a client roster that includes companies like Whole Foods, the floral world is watching Erin’s little flower farm, waiting to see what’s next. Erin was gracious enough to share her pro tips on caring for our fresh-cut flowers. Loved the interview with Erin so much. Thanks for sharing! I’m so glad you enjoyed it. I have more things in the works with Erin. Stay tuned!